Communication is just the start. We exceed expectations and deliver results. We connect brands to people, associating them with experiences. Brands are made from stories and we develop them in a way that produces better results. from its strategic planning to its implementation. and provide you with exclusive and focused solutions. We challenge the conventional to create memorable relationships between brands and consumers. At Message in a Bottle we believe that only products with an identity will become outstanding brands. We count on a team of professionals from different sectors of communication, to respond to our clients’ demands, in an exclusive and personalized way. We challenge the conventional, by offering a range of integrated communication, to create strong and unexpected relationships between brands and consumers. We enhance the visibility of our clients, supporting them by devising communication hooks that reinforce their awareness in the media. Engagement is the keyword for successful communication. We connect brands to people and manage their community. We develop strategies with distinctive and personalised approaches to create engagement between the company and its clients, always oriented towards results. We build solid communication strategies and implement creative ideas for the key types of media and communication channels, to increase the visibility of your brand. We are committed to a strategy of differentiation and innovation, and offer a complete and personalised service in the organisation of your event. 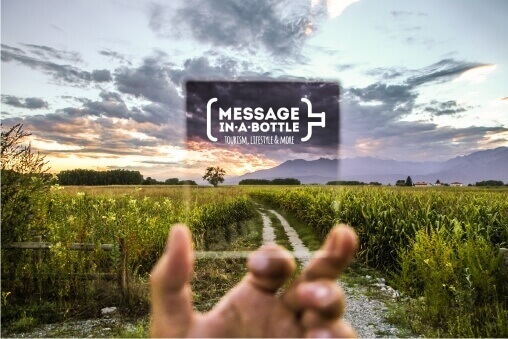 Message in a Bottle takes you on a journey that encompasses every aspect of integrated communication. Are you looking for effective communication for your project?